EnCo Software GmbH, founded in 2005 in Hamburg and converted into the legal form of a GmbH in 2008, is a consulting and software systems house for the industries automotive, plant engineering, rail and aerospace engineering, headquartered in Munich. As a service specialist in a highly complex engineering environment the key components are process and quality evaluation with project support regarding functional safety of electronic components. This resulted in the modular net product SOX. SOX has been developed on a modular architecture and can be used as a standard solution for the safety development process. We offer a customized tool migration, consulting and training for companies in various industries. 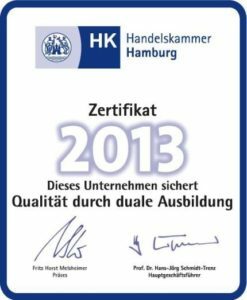 The Company Engineers Consulting (short EnCo) was founded in 2005 by CEO Mr. Marcus Heine and was transferred in 2008 into the legal form of a GmbH. The original idea of the company was as an engineering service provider (consultant) for the automotive industry, the special machine and plant construction such as aerospace to provide our know-how available to optimize processes, to ensure the quality of components and products and to increase cost efficiency. To the present day, we are very successful with this idea on the market and were able to extend this approach to the advice of the designed and developed EnCo Product SOX significantly. Our current portfolio thus serves not only the pure engineering service. We develop, design, migrate and train our product SOX with renowned companies in the automotive industry. Our vision is defined in a continuing aim to improve and the takeover of the market leadership with our product SOX. Dipl. Ing. Marcus Heine is the founder and CEO of the EnCo Software GmbH. Mr. Heine started his career as a quality engineer at Recaro Aircraft Seating. Other stages of his career were Bosch Engineering and Airbus Germany, whereas his activities were focused internal quality advice. During his tenure as CEO of EnCo Mr. Heine already performed and led numerous projects (among others in consulting and application of methods in the field of functional safety). As founder and CEO of EnCo he developed and accompanied all strategic business processes and is significantly involved in their implementation. Based on the original idea to start a business (product development SOX and consulting and training in the engineering sector), Mr. Heine works closely with partners and internal project managers to develop the product SOX and support employees. In particular, the management of EnCo places importance on regular exchanges with and between employees, which is reflected in the regular developer and consultant meetings. The technical management in the product development of the SOX was acquired in 2014 by Dr. Thorsten Schlathölter. The Advisory Board of EnCo is led by Mr. Michael Englert (GF ITK Engineering), Mr. Carsten Thoma (co-founder and President & Chief Operating Officer of hybris AG), Mr. Stefan Schmidt (Vice President of Product Strategy hybris AG) and Mr. Rolf Mathies (cofounder Early Bird, Venture Capital), who remains steadfastly at EnCo’s side for several years as a business support and consultant and is a close aide of Mr. Marcus Heine. 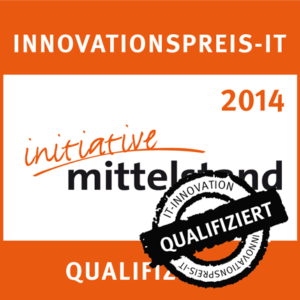 WE HAVE QUALIFIED US FOR THE INNOVATION AWARD 2014. SINCE AUGUST 2012, WE ARE TRAINING IN THE FIELD OF OFFICE MAN / OFFICE FOR OFFICE COMMUNICATION. WE ARE LOOKING FORWARD TO EXCITING TASKS AND THE UPCOMING WORK WITH YOUNG AND ENGAGED PEOPLE. 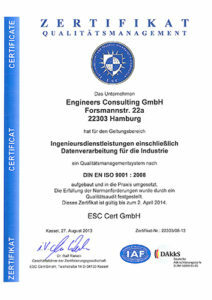 SINCE 2012 ENCO HAS BEEN OPERATING QUALITY MANAGEMENT AND IS CERTIFIED TO ISO 9001: 2008.